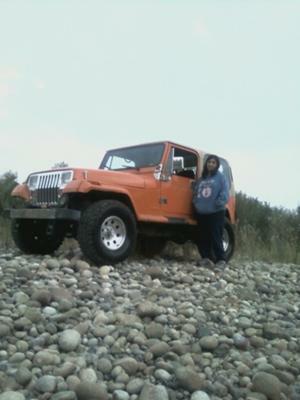 My Jeep Wrangler 1988 YJ. I built the 4.2L 6 cyl. engine for $1500. I'm also building a matching trailer. Larry's Comment: Nice YJ, Mark. We would also like to see the matching trailer when you're done.